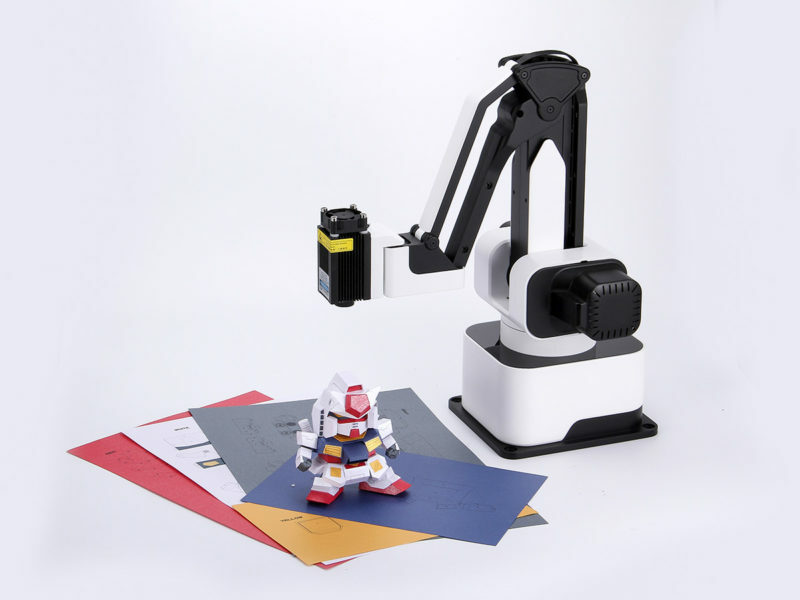 Your own industrial robot to aid in an endless array of creative projects. 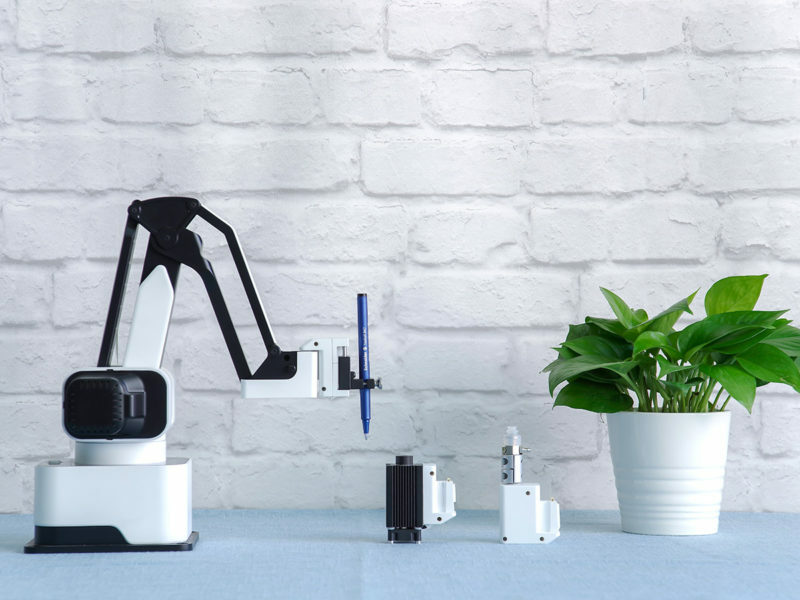 Picture the efficient movements of industrial robots on the factory floor as they turn the manufacture of something as intricate as an automobile into a beautifully executed dance. 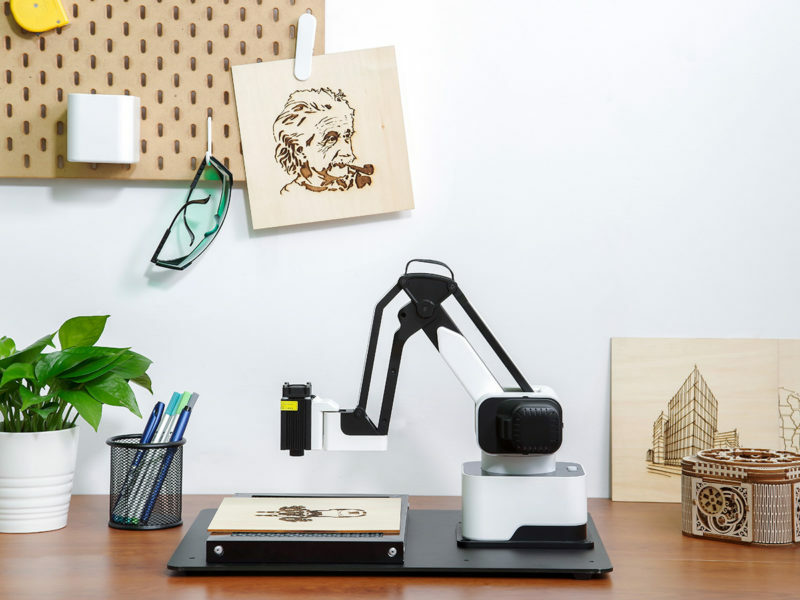 Now you can observe the same marvel in your home with the Hexbot Desktop Robot Arm. 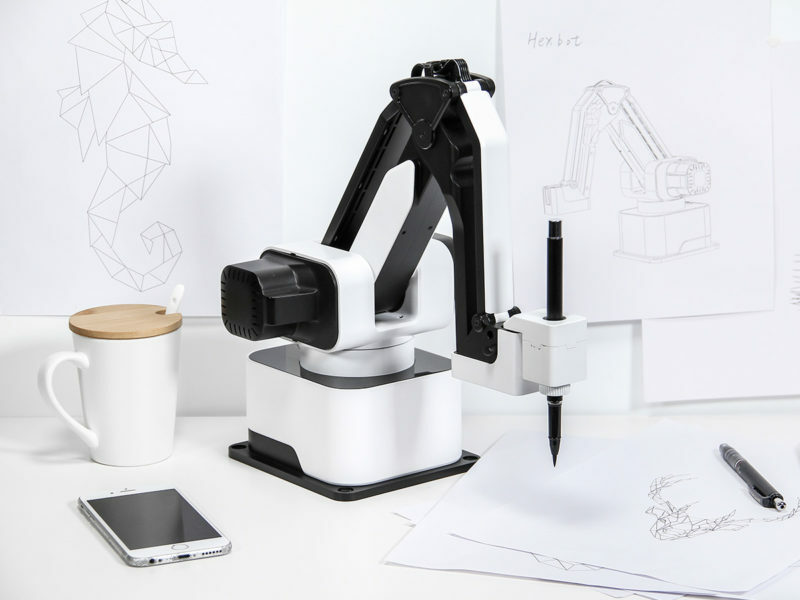 Perfect for people who want to bring their designs to life, the Hexbot Desktop Robot Arm can be used to write, draw, engrave, and 3D print, aiding in an endless array of creative projects. Just choose the right attachment for the job at hand. 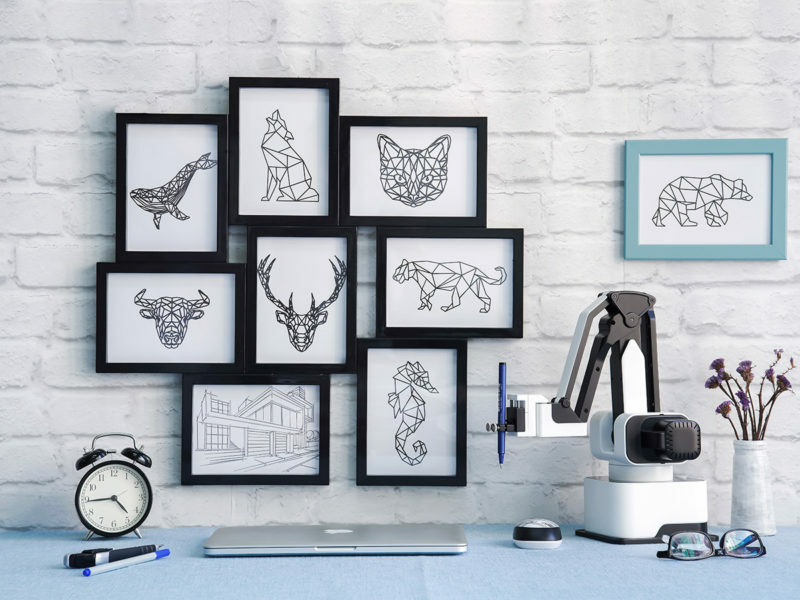 The pen holder attachment can be used to create frame-ready art for your walls. Want to monogram your cell phone case? The laser engraver can accomplish this with ease. 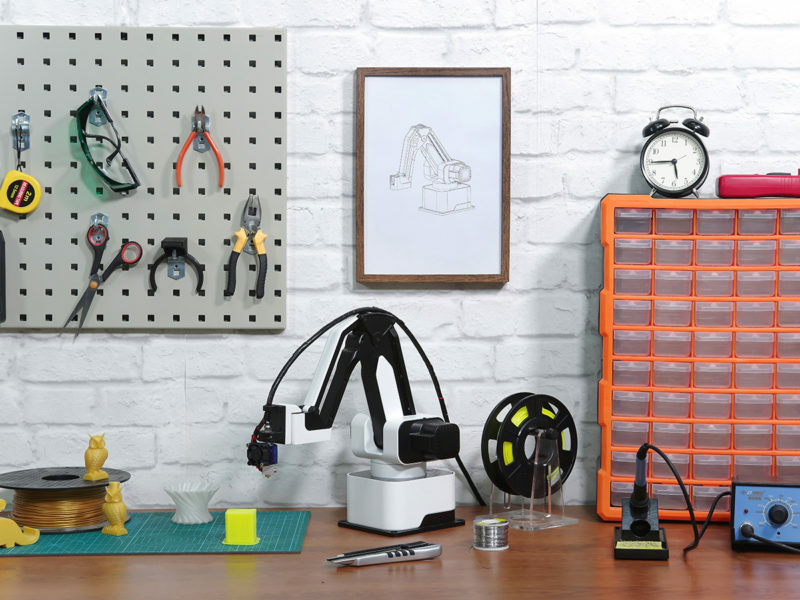 Designing and making your own tools or toys? No problem, just attach the 3D printer part. 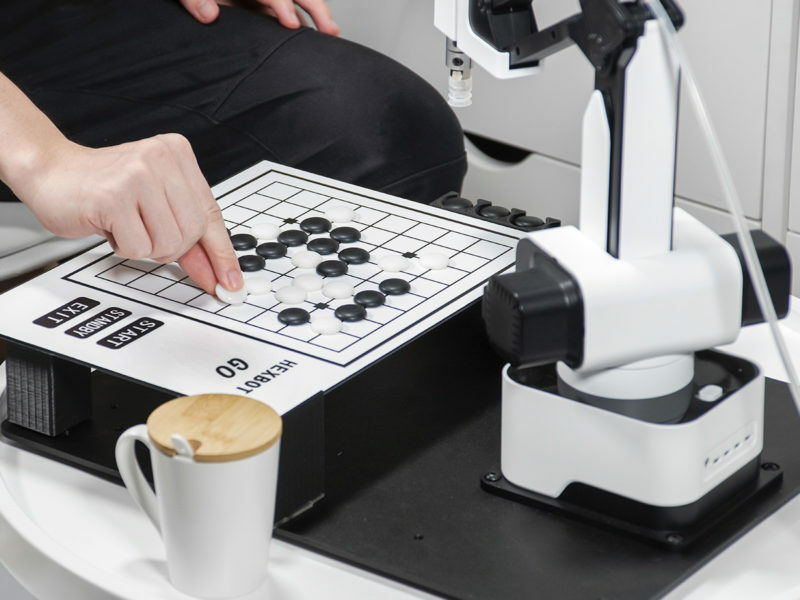 You can even play a game of checkers with your Hexbot and its suction cup and gripper attachment.